This Site or Services has the right to provide links to websites other than Playbuzz.net. Such links are solely for reference, and Playbuzz.net neither controls nor endorses any of these websites, the material on them or any association with their operators. Playbuzz.net is not responsible for the activities of these external sites, and is not liable to you for any harm, injuries or losses you might suffer as a result of using or accessing the sites. Please note that all transactions will appear as "playbuzz.net18777173330" on your credit card statement." 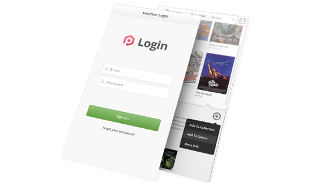 Playbuzz.net has five major membership content categories: music, movies, books, games, and “all-entry”. At times, Playbuzz.net may offer special membership-content categories. Customers who choose one of these options at initial sign up will also have to a specific category and may be given the option to upgrade to an “all-entry” membership for a surcharge of $2.95 or another predetermined amount during the signup process. This new membership will follow all terms and conditions of the original membership but unlock entry to the added content. Digital KO LLC, its affiliates and franchisees (if permitted by Digital KO LLC) on occasion may disclose to their business partners certain data, such as names and addresses and the genre of products rented or purchased by Users or Members, so that the business partner may send their own direct marketing communications to Users and Members. Digital KO LLC will not provide User or Member e-mail addresses to business partners, unless the User or Member has provided express permission to Digital KO LLC. If you would prefer that Digital KO LLC not disclose your personal information to its business partners for direct marketing purposes, subject to legal, or contractual restrictions and legal notice you may opt out of such uses and/or disclosures by (a) checking the appropriate "Opt Out" box in any applicable e-mail communication or e-newsletter, (b) visiting www.Playbuzz.net, selecting 'Contact Us'. 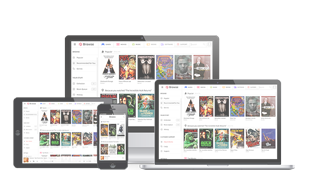 Join hundreds of thousands of satisfied members of Playbuzz who became tired of searching formovies, games, music & e-books online, and now enjoy the hottest new movies, games, music & e-books and timeless classics on our site. 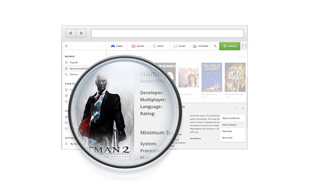 Playbuzz makes it easy to find what you’re looking for, whether it’s a game, song, book or movie. And finding friends or people who can help you discover great new titles is just as simple. Sometimes only the best content will do. Playbuzz has a huge library of titles on demand and we’re adding new content everyday! ©2013 Playbuzz. All rights reserved.